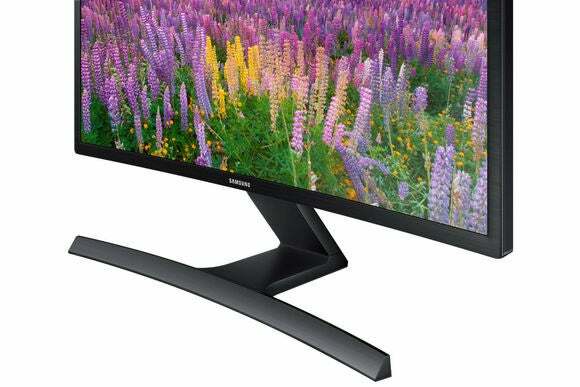 Samsung is making it cheaper to add some curve to your home office or gaming set up with a new range of curved monitors. The SE series consists entirely of 1080p resolution displays. The cheapest model, the 23.6-inch SE510C, will cost $300 when it arrives in March. There’s also a 27-inch version, but we’re still waiting to hear on pricing. Update: The 27-inch version costs $380. Moving up the line, Samsung’s SE591C has a 27-inch display and built-in 5-watt stereo speakers for $400. It also supports DisplayPort input—the cheaper models are HDMI and VGA only—and has a glossy white frame. At the high end, Samsung’s SE590C has a 32-inch display with a tighter curve radius than the other models. It’s still just 1080p, but it has a higher contrast ratio of 5000:1, vs. 3000:1 for the other models. It also trades the VGA input for a second HDMI jack, and it has a separate audio input for its stereo speakers. Why this matters: Curved displays are a better fit for computer monitors than they are for televisions, since they only have to serve an audience of one. But the purchase has been tough to justify when many conventional screens cost under $200. Samsung’s new monitors are still a bit of a splurge—and we’re nowhere close to seeing affordable 4K versions—but they’re at least a step in the right direction.